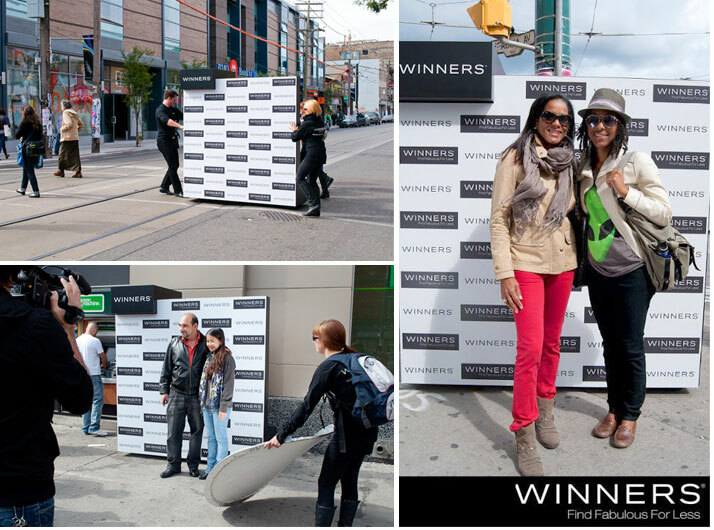 To celebrate the grand opening of Winners’ new Toronto store, we held a mobile street-style fashion shoot. We made people on the sidewalk feel like models on the catwalk. Consumers were offered the chance to have their photo taken against a branded mobile backdrop. Consumer information was collected using Pixperience’s custom data capture iPad app and photos were e-mailed to directly to participants and posted on the Winners Facebook page.